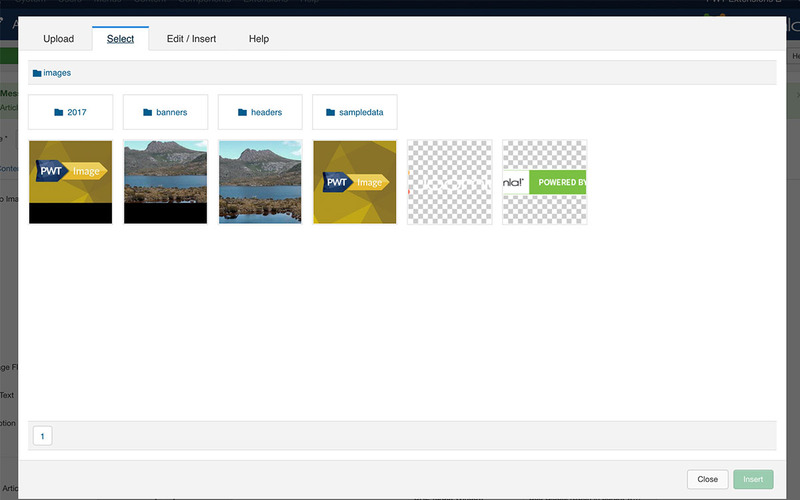 The most user-friendly way of working with images in your Joomla! site. Easy image cropping & resizing for your end-users. 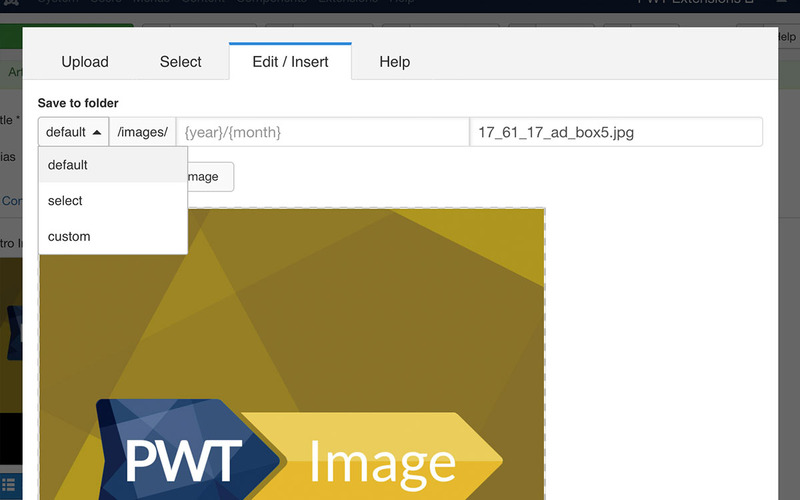 PWT Images replaces the default Joomla core image selector. It will provide a end-user friendly solution that any content editor can use. Thanks to PWT Image your end-user no longer will upload huge images and distort the layout of the website. PWT Image allows the editor to crop an image from within the article. No need to go to a media manager first. By using the preset aspect ratios images can be added in the same sizes and ratio for all articles. Images will be resized in the dimensions configured. User can choose to select an image from their computer or use the existing images on the server, if allowed to access the image folders. With PWT Image you can configure the default folder an image should be uploaded to, that could also contain a year and month as variables. This helps you to keep your images folder being organised. PWT Image feels like a native Joomla solution. It will replace the current image selectors with PWT Image, for a quick & user-friendly expierence of working with images. 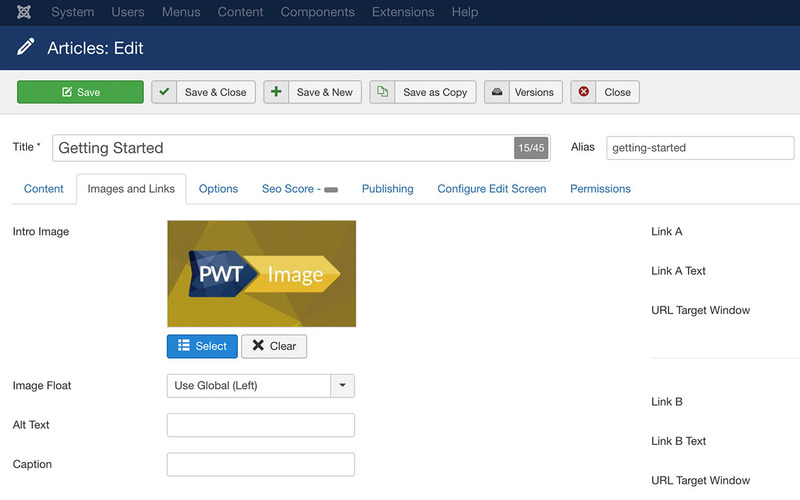 With our Joomla Custom Field plugin you can use PWT Image as a Joomla Custom Field. 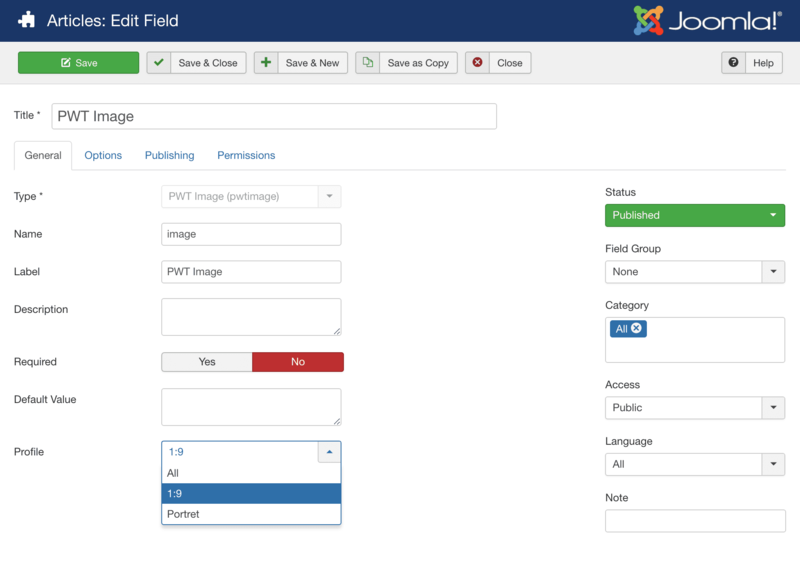 Select the PWT Image profile that needs to be used and add the fields to any content that supports the Joomla Custom Fields system. 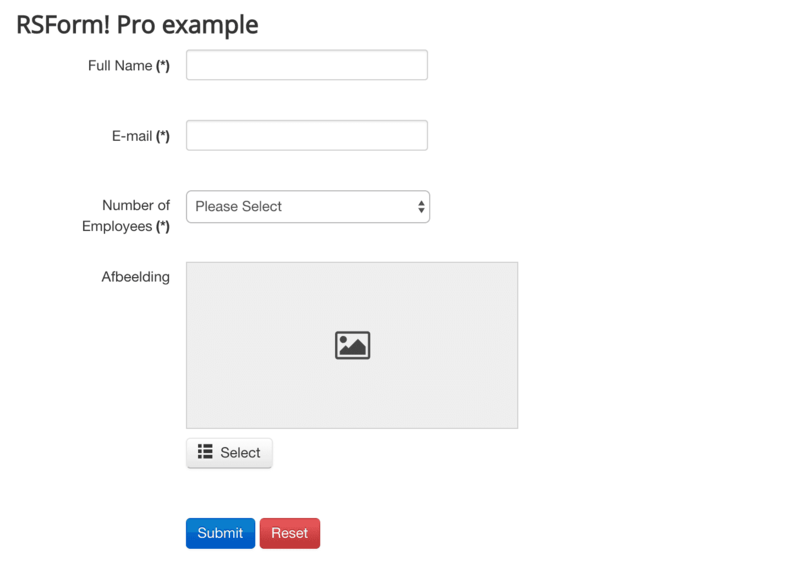 Have you been struggling with user-submitted images in your RSForm!Pro forms? Do you need your users to submit images with a specific ratio and size? 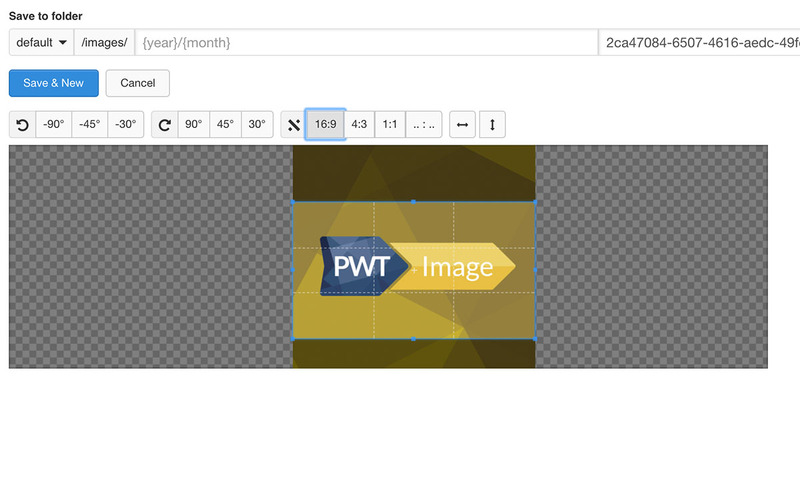 You will love the PWT Image plugin for RSForm!Pro. With this integration, you can make image handling within your forms user-friendly, and force people to submit images based on your specifications.